Description: Like many great French makers, Victor Francois Fetique was born in Mirecourt, France in 1872. After a traditional training under one of the members of the Husson family, undoubtedly Charles Claude, he went to develop further skills under some of the greatest French makers; Fournier Maline, Emile Miquel and Nicolas Bazin. In 1901 Victor Fetique moved to Paris to work for the Caressa & Sons firm until setting up his personal account in 1913. Often praised for having unquestionable talent and inclination towards finest detail, Victor Fetique was awarded the "Un des Meilleurs Ouvriers de France" the highest honor for craftsmanship. This particular bow is certified by Jean-Francois Raffin and is in excellent condition. 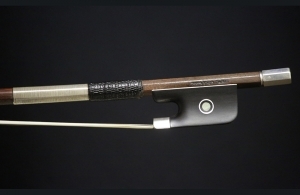 Silver and ebony mounted onto a round stick of red-brown pernambuco. It is branded: J. TOURNIER. 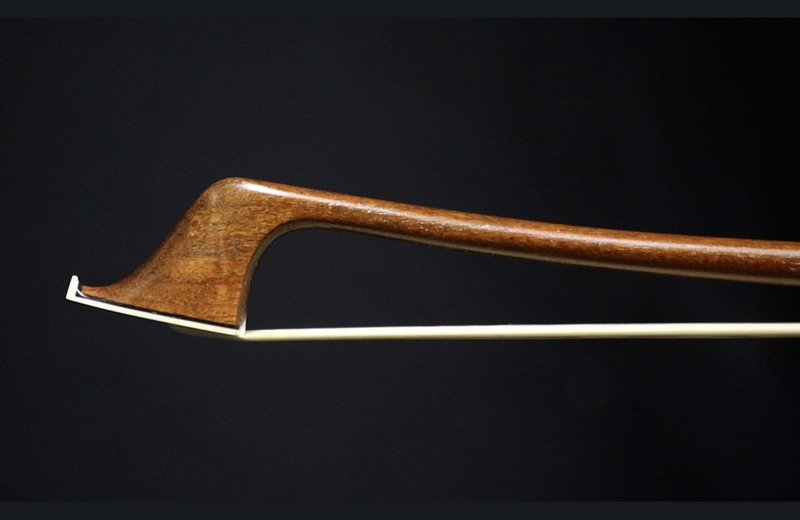 It is a strong bow that produces a dark, powerful tone. Weight: 82.2g.